Yes, My Mom WAS Pinterest before Pinterest was Pinterest! My sisters and I say this ALL the time! Since Pinterest was released my Mom can show us something and say...see I wasn't crazy someone else thought of this too! We have the best, most creative Mom around! So thankful for all her creativity and talent! She inspires me in SO many ways!! My Mom made a chart for me when I became a MiMi! 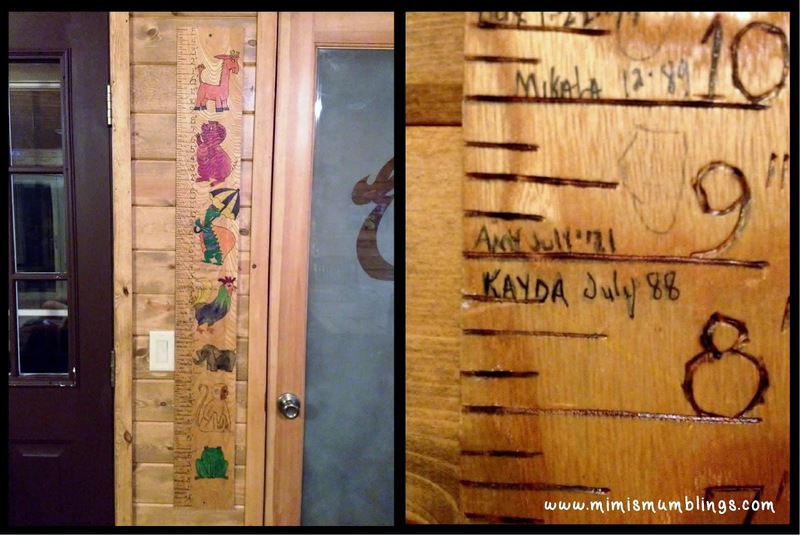 My grandkids love to measure every time they’re at my house! Sometimes I have to tell them “we just did that yesterday so I’m sure it’s going to be the same size”. But again…we measure and they stretch hoping to reach to the next animal!